The next major crisis point in Britain's continually thwarted attempts to LEAVE the European Union will probably be in Mid December when MP's are expected to give their consent to the so called 'BrExit deal' which in reality is a 585 page suicide note aimed at keeping Britain permanently within the EU, effectively remaining in the EU in all but name which was the EU's objective from the outset, the signs for which were obvious for which we only needed to look at how the EU managed economic austerity across the South of Europe, creating defacto colonies out of the southern states ruled from Brussels which is destined to be the fate for the UK. My view from the outset of the triggering of Article 50 has been to NOT Negotiate with he EU because they won't let Britain actually LEAVE but instead plan for a HARD BREXIT. Instead of which Theresa May has wasted the past 18 months playing to the EU's tune. Our current mess is what happens when you but a REMAINER in charge of LEAVING the EU, what you get is a dogs dinner that pleases neither REMINAER or LEAVER, especially the LEAVERS because were Theresa May's plan actually implemented then Britain would NOT LEAVE the EU. 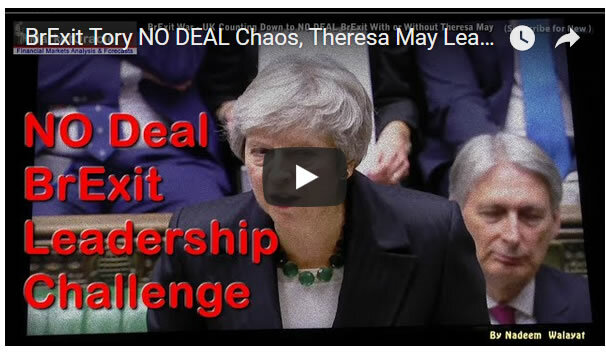 Which is why most MP's are expected to vote AGAINST the plan when it is presented to the House of Commons and thus contrary to all of the noise out of No 10 and Westminister is likely to result in the end of Theresa May's premiership shortly after the vote. 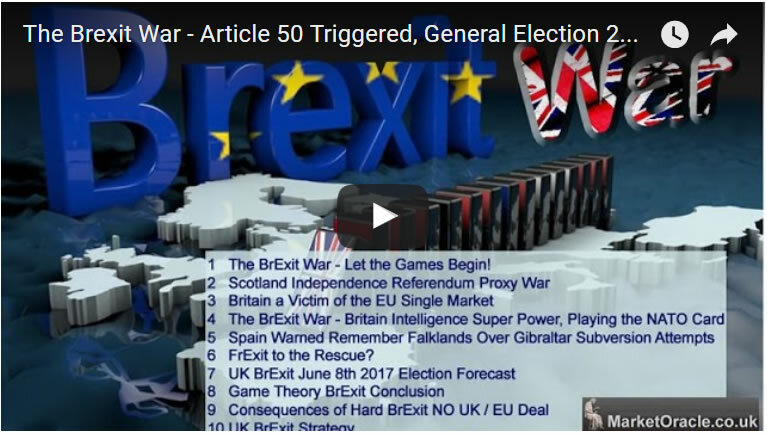 The consequences of which will be for a BrExiteer to be selected by Tory Mp's at the helm of Britians EXIT negotiations for a HARD BrExit on the 29th of March 2019 as I covered in my following recent video analysis for who could take over from Theresa May and deliver a probable HARD BREXIT. 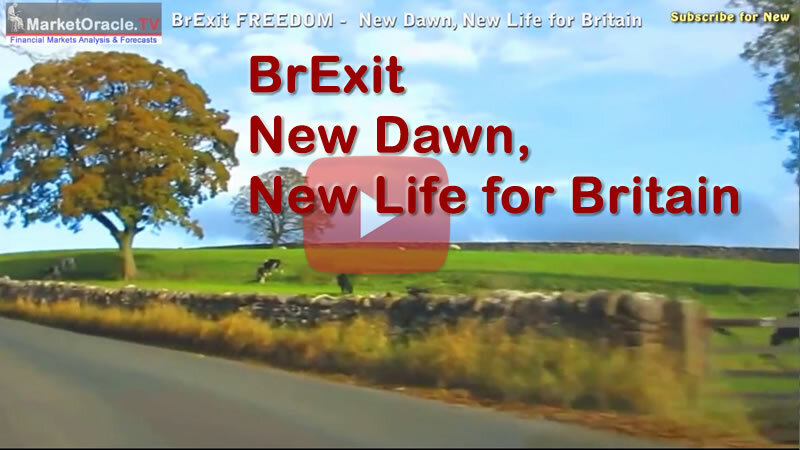 The only workable solution is for a HARD BrExit to usher in a New Dawn for Britain! Your analyst counting down to Theresa May's resignation.